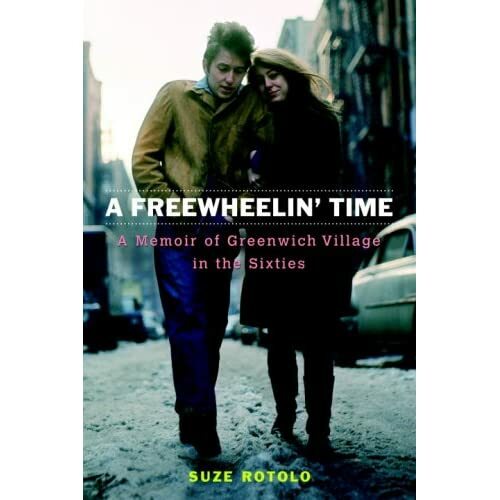 Suze Rotolo has joined the ranks and thrown her leopard-skin pillbox hat in the ring with her own personal "I dated a 60's rock star" memoir, "A Freewheelin Time: A Memoir of Greenwich Village in the Sixties." 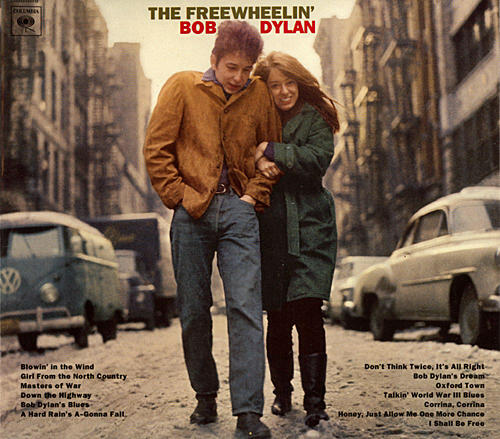 Suze inspired the songs "Don't Think Twice, It's Alright" and "Boots of Spanish Leather" and Suze is the girl walking with a 21-year old Dylan down Jones Street on the famous The Freewheelin' Bob Dylan album cover. Dylan was trying to recreate this famous photo of James Dean. The famous Dylan album cover photo was taken in February 1963 by Don Hunstein. Dylan lived a short ways away at 161 West 4th Street at the time. 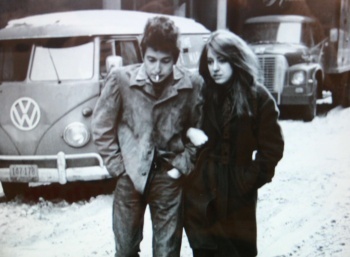 Does Suze Rotolo confirm that "Dylan was trying to recreate this famous photo of James Dean."? The similarity is obvious, yet I had never put the two photos together in my mind. Thanks! "The Jester (..sang for the King and Queen...) in a coat he borrowed from James Dean."